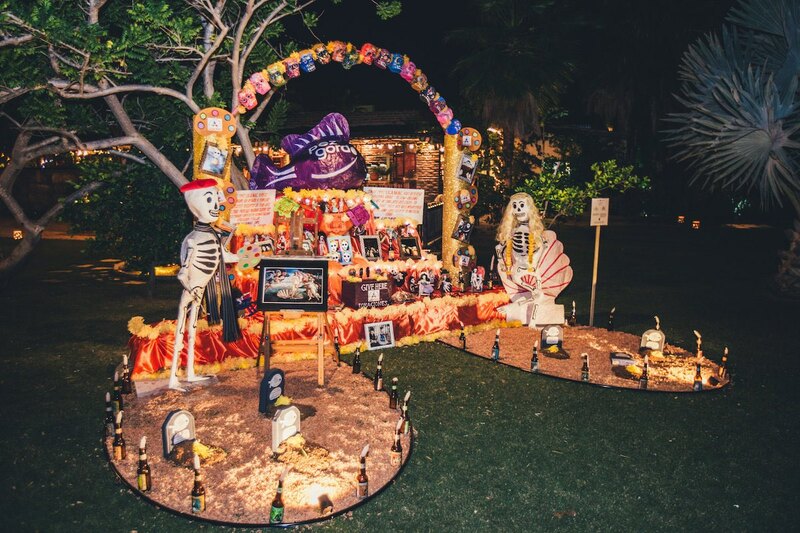 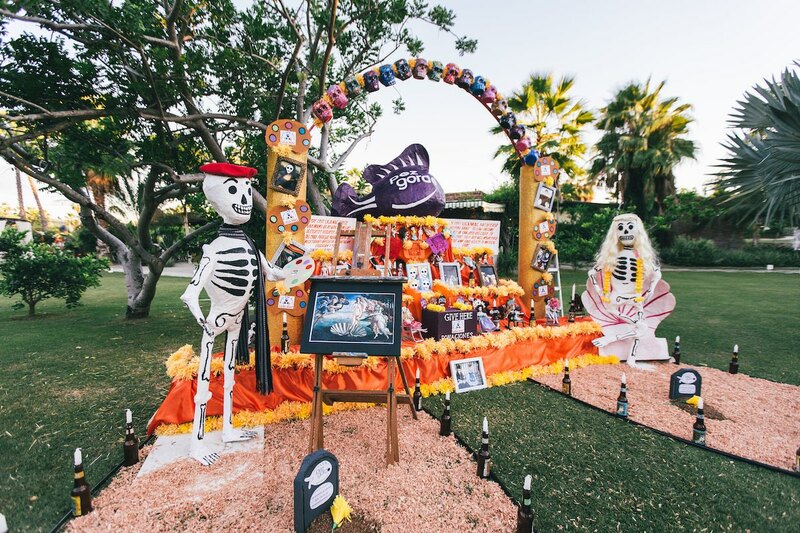 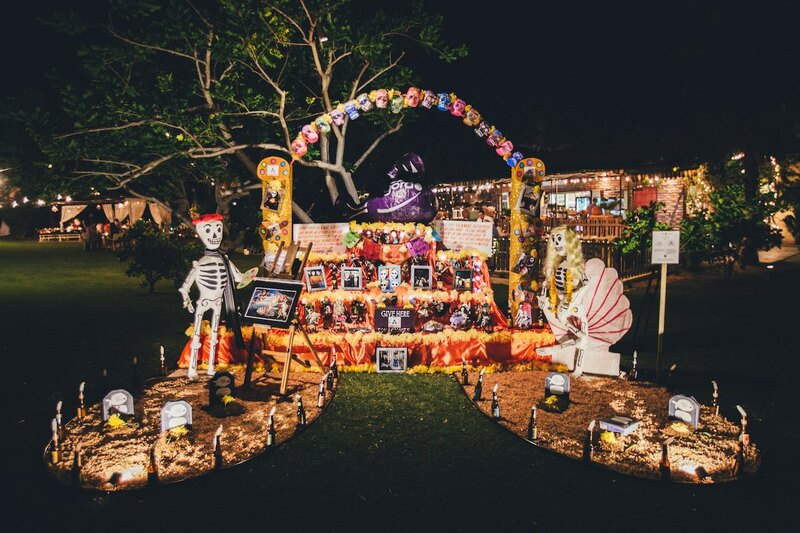 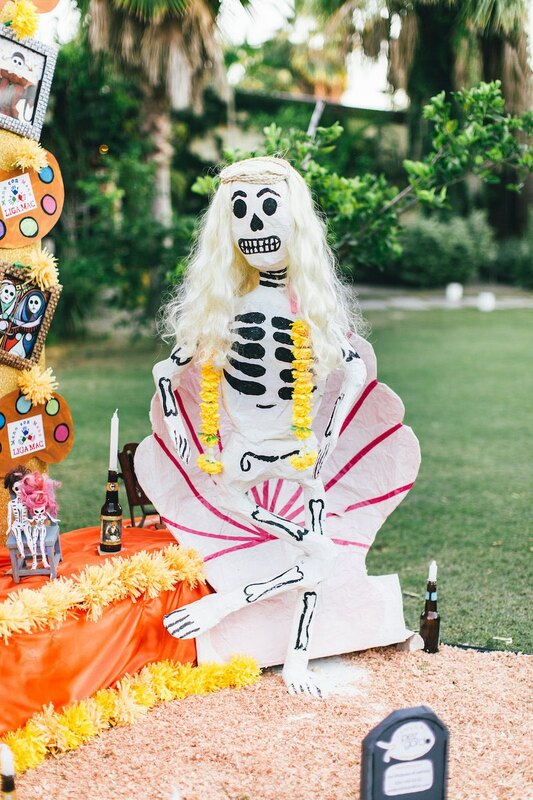 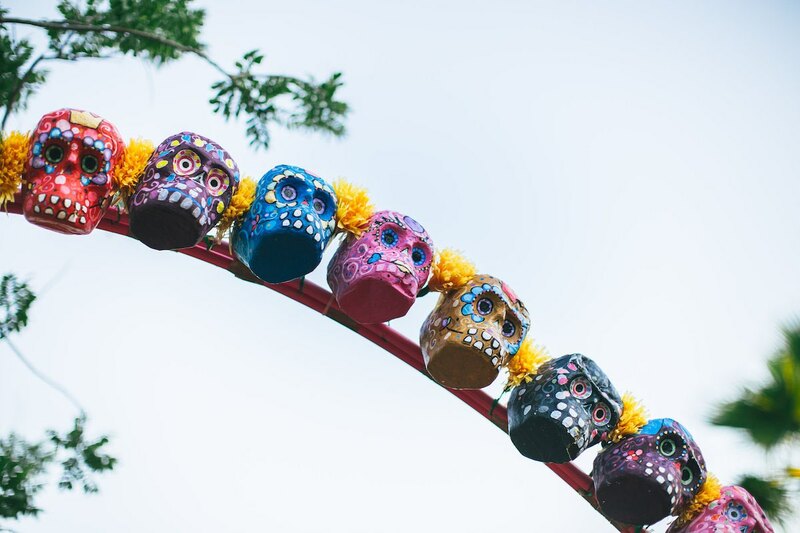 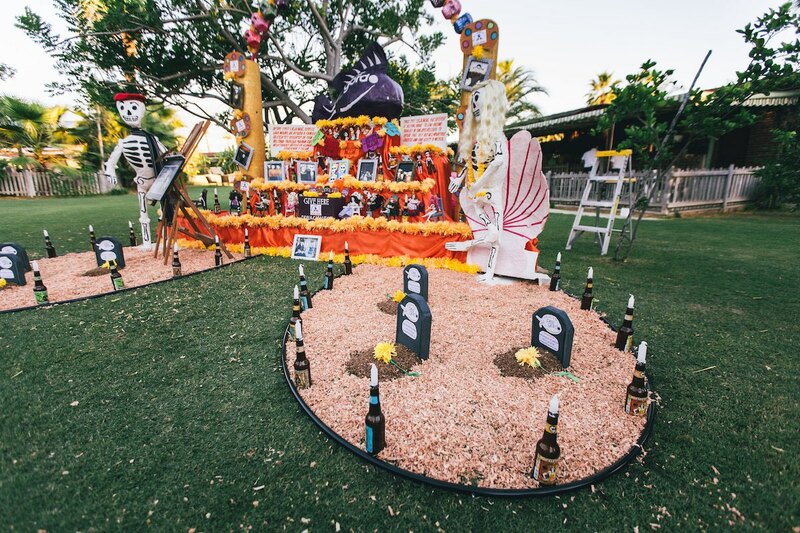 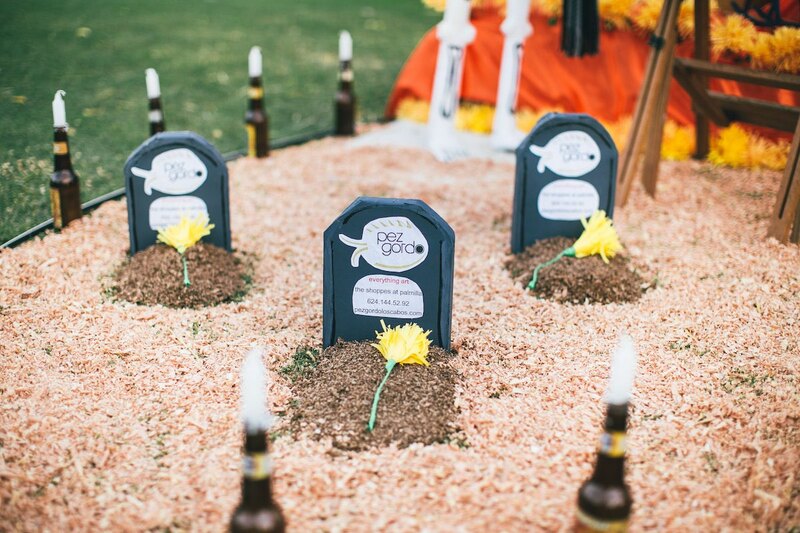 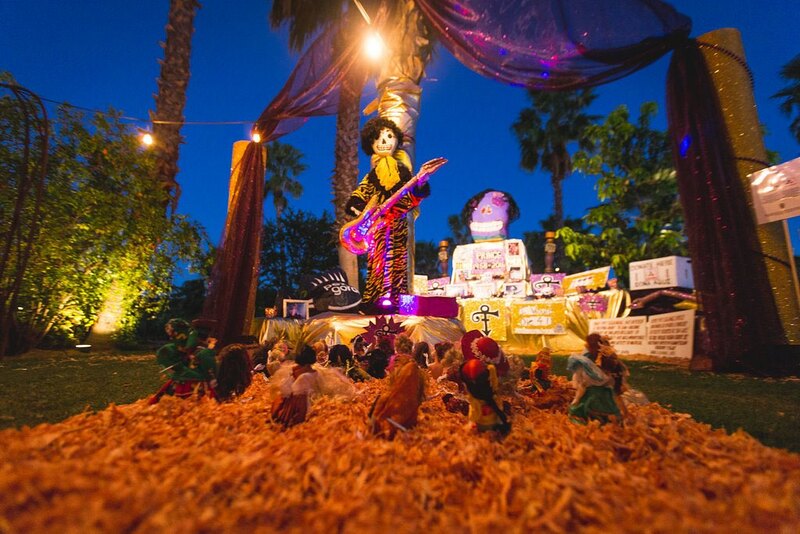 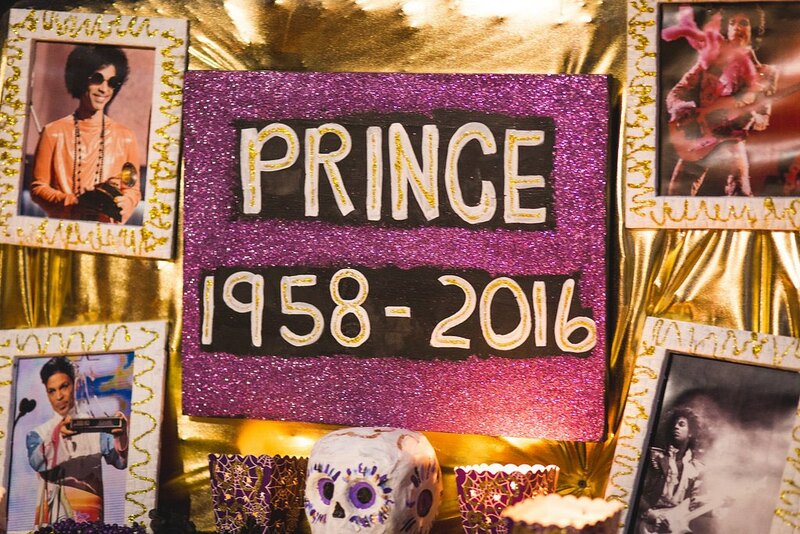 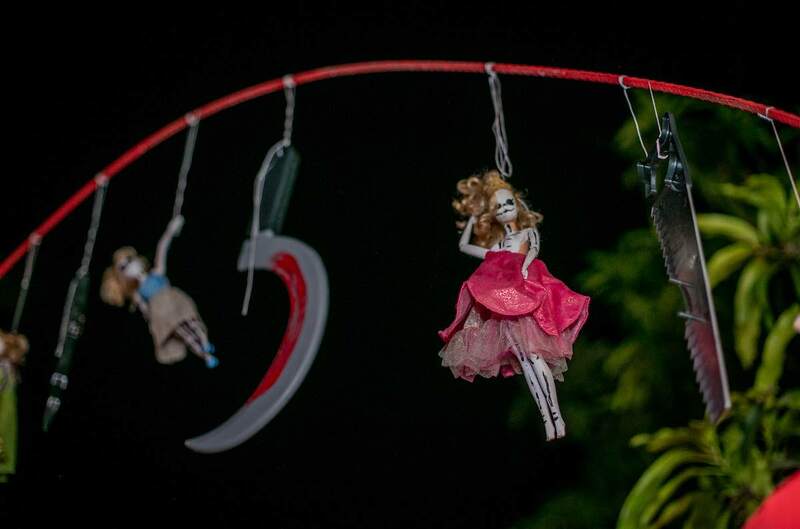 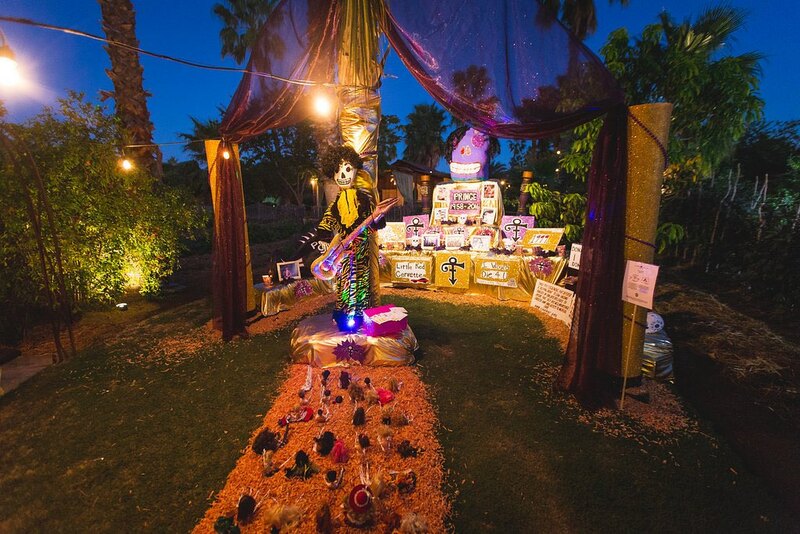 Since 2015, one of our favorite places - Flora Farms - has hosted a public event celebrating Dia de los Muertos. 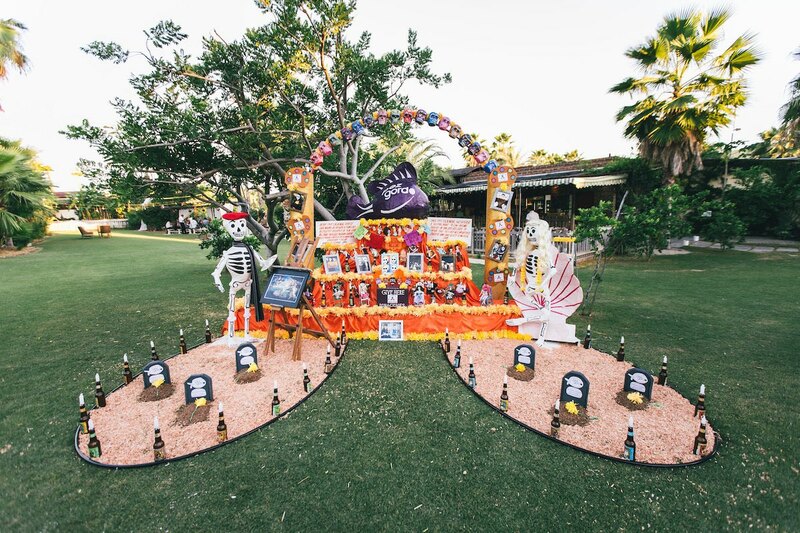 The highlight of the evening is a competition of 14 - 16 altars created by local area businesses that are displayed throughout the property. 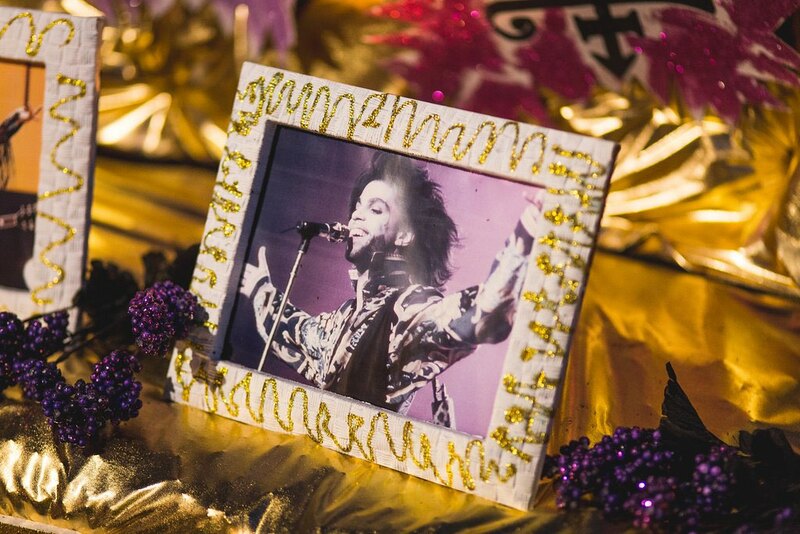 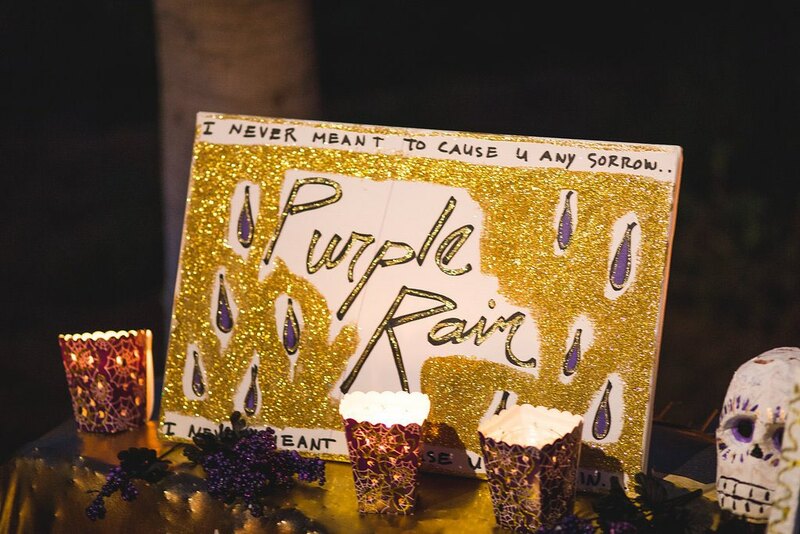 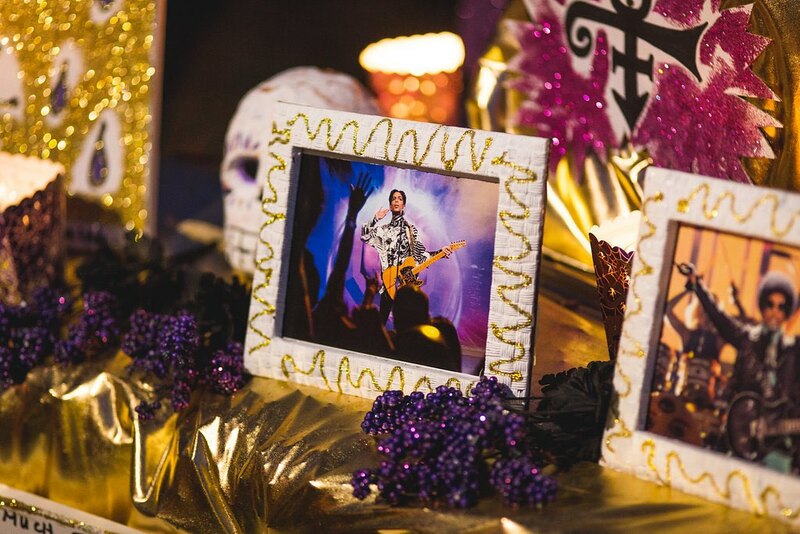 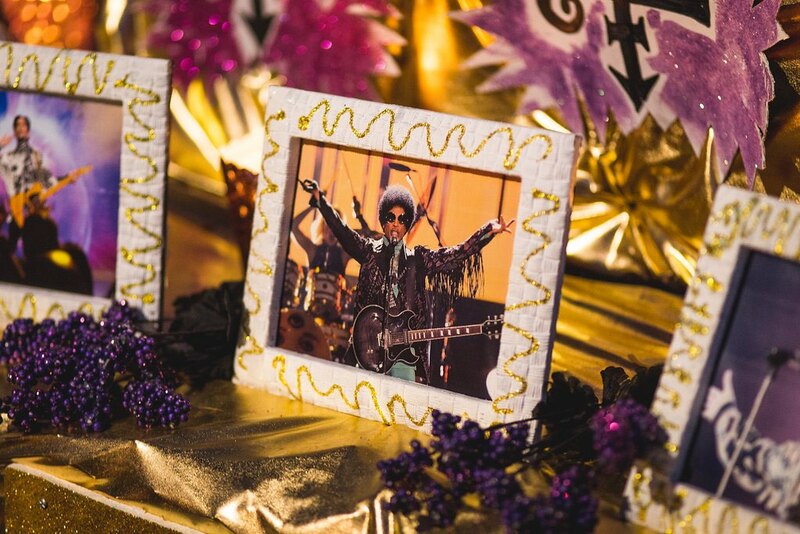 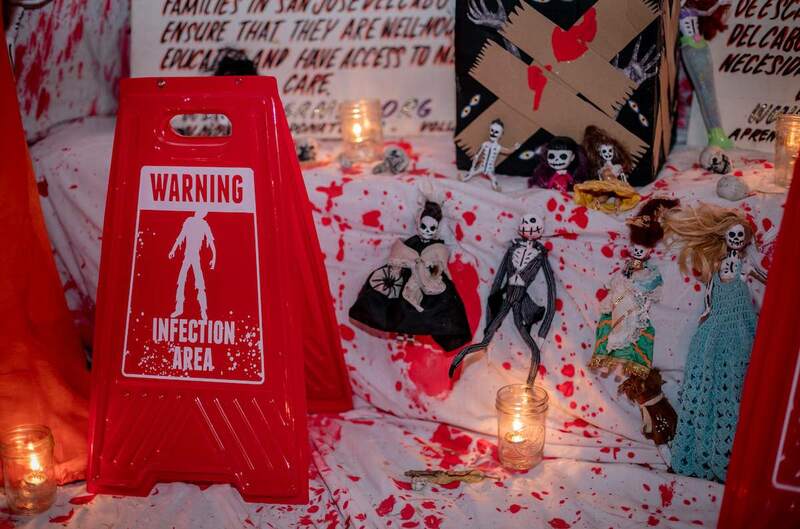 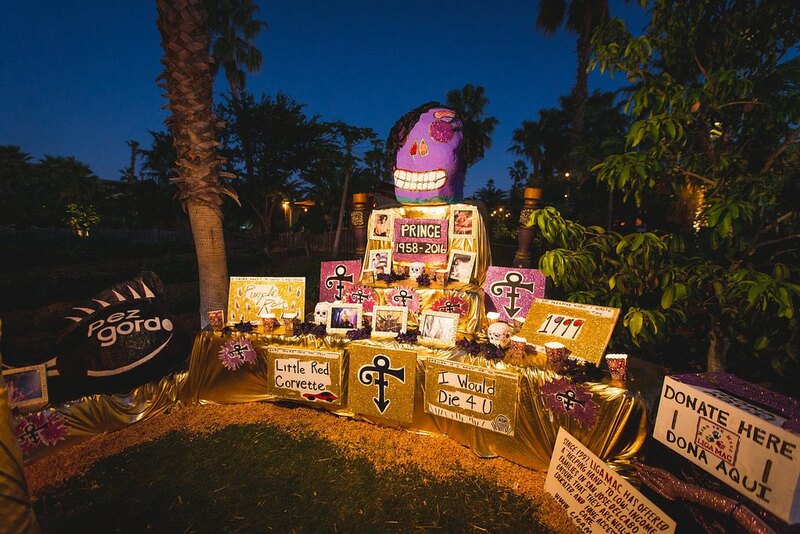 Each altar is paired with a local charity to receive the cash prize should they be selected as the winner. 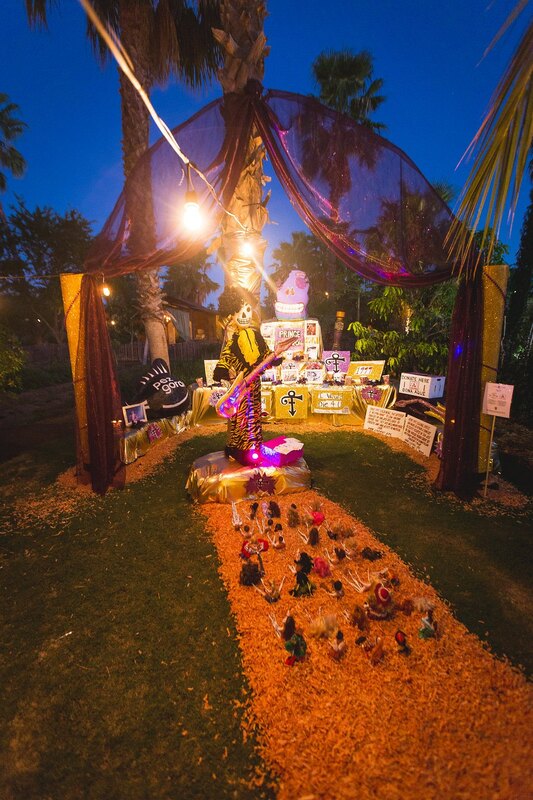 It is a truly spectacular evening filled with Flora Farm's signature food and cocktails, amazing live entertainment and simply brilliant altars! 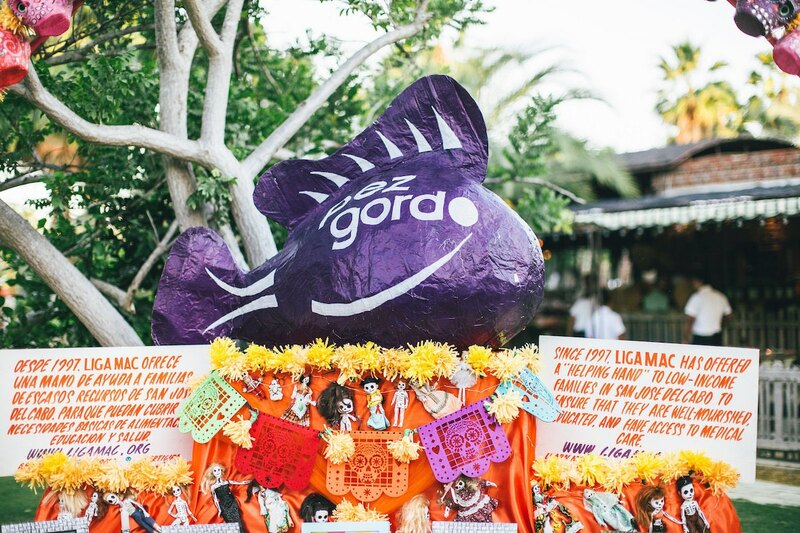 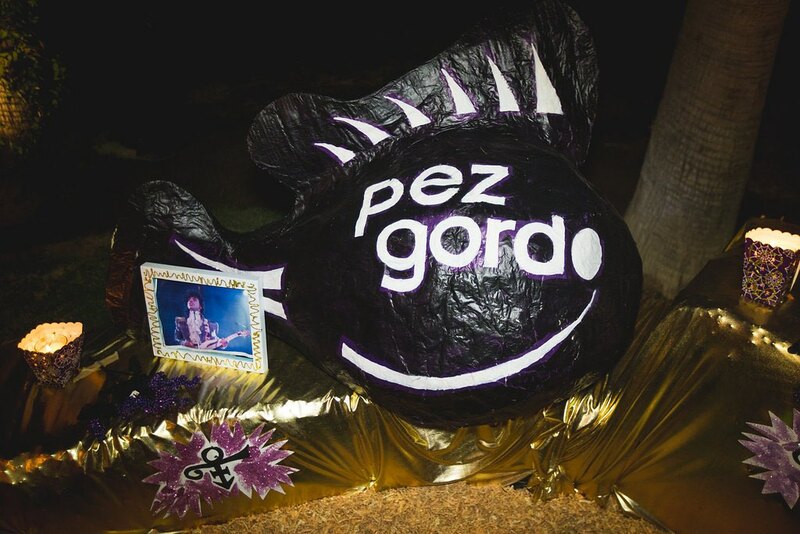 Pez Gordo has been proud to participate since the beginning - below enjoy a sampling of our altars throughout the years. 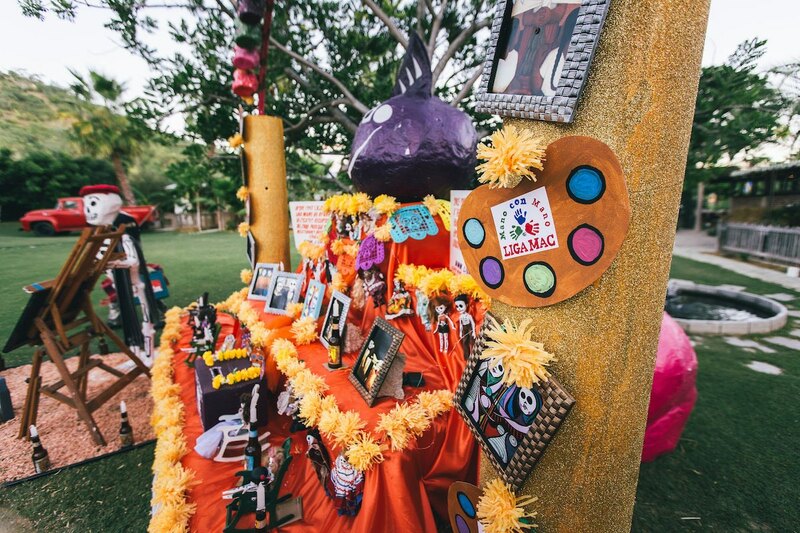 We kept a gallery-theme the first year and paid homage to all the great art masters from Van Gogh to Rivera to Klimt just to name a few. 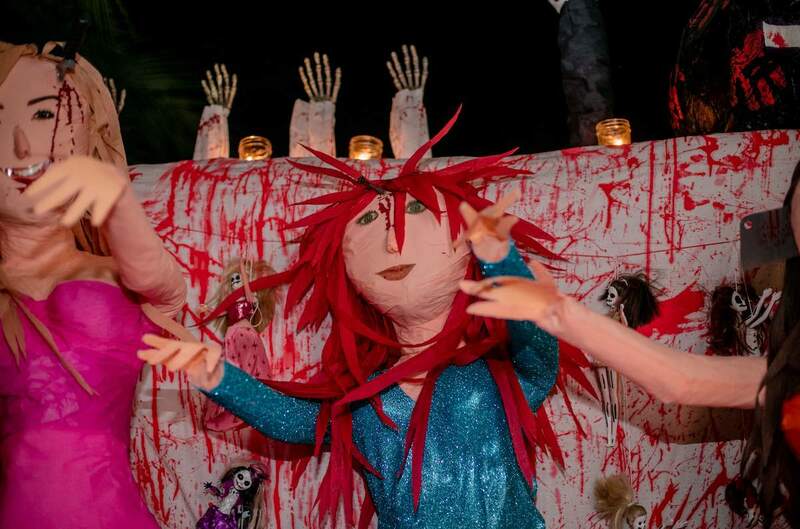 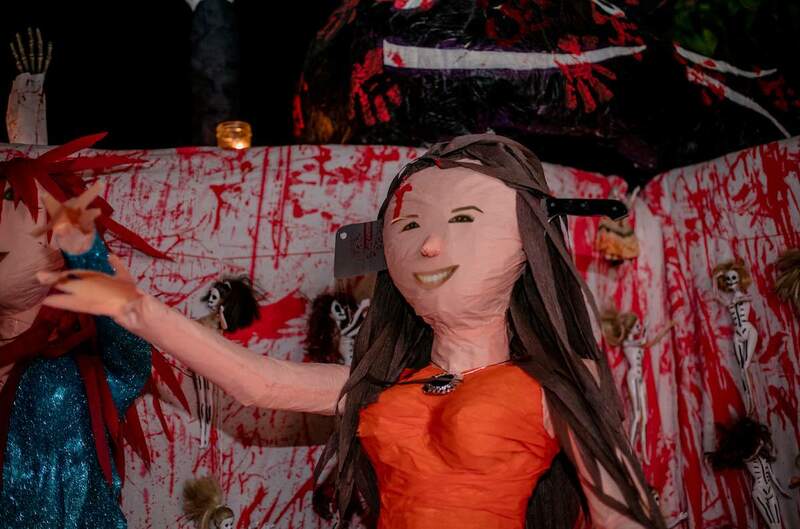 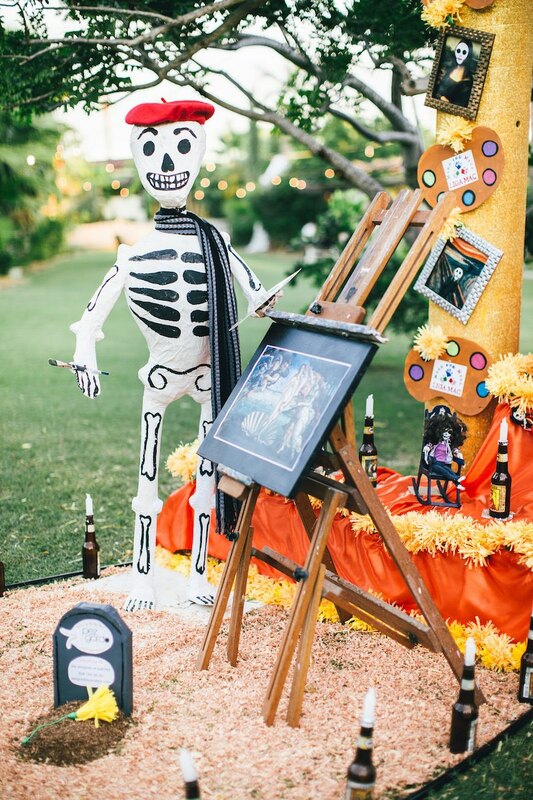 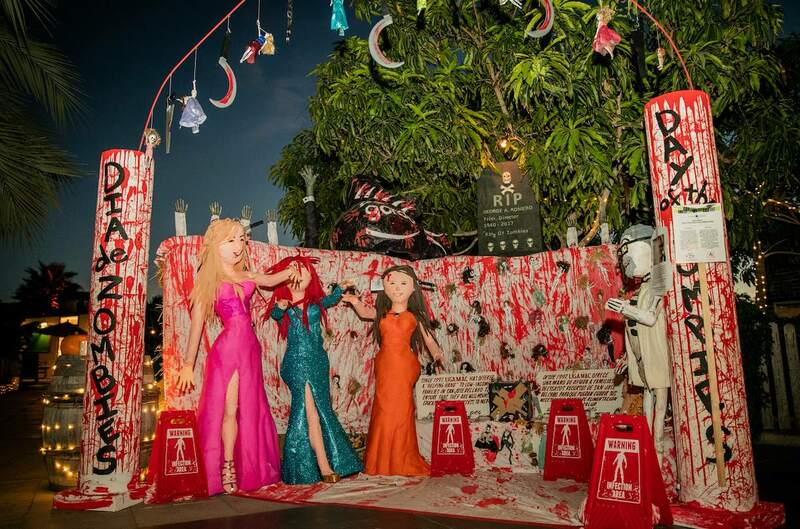 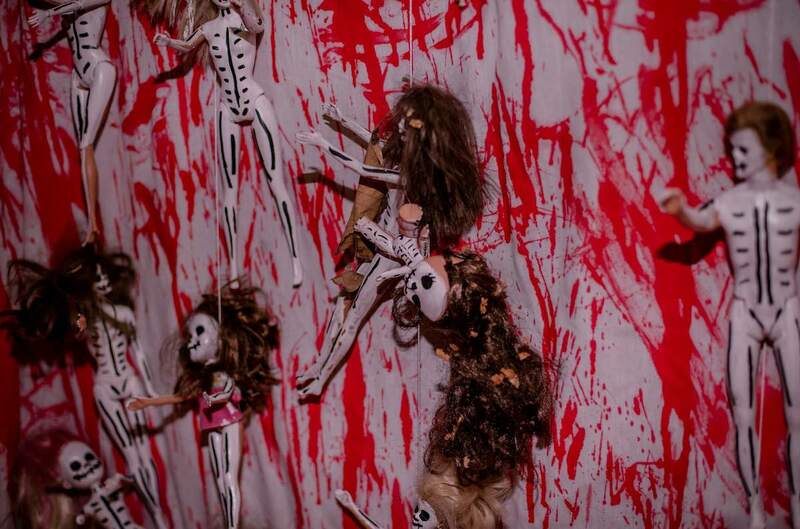 Our showstopper was a Dia de los Muertos version of the artist Botecelli as he painted The Birth of Venus. 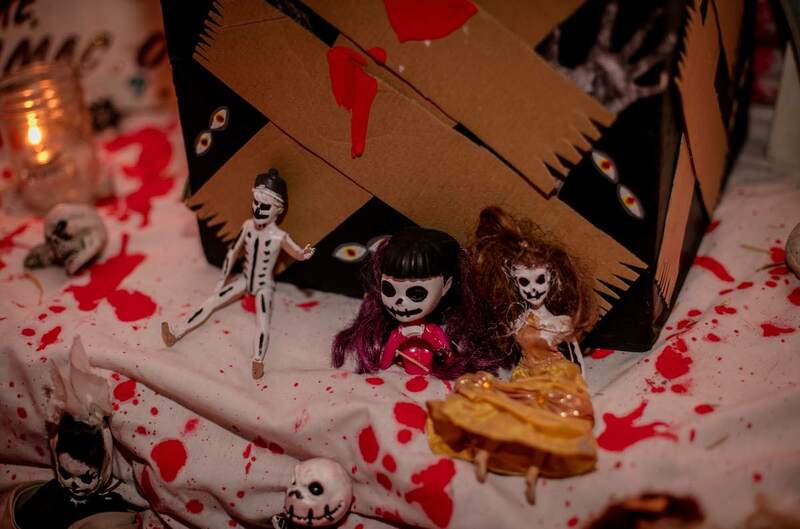 Director of both the Day and Dawn of the Dead films, Romero is considered the father of the zombie genre. 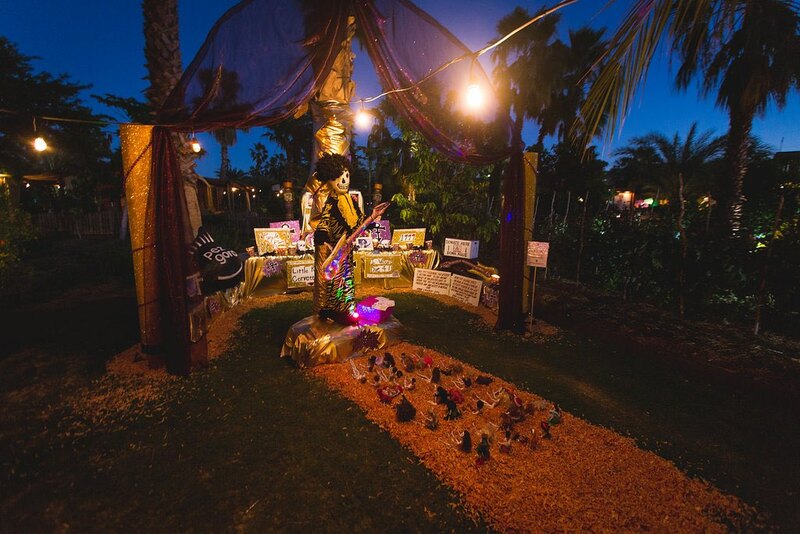 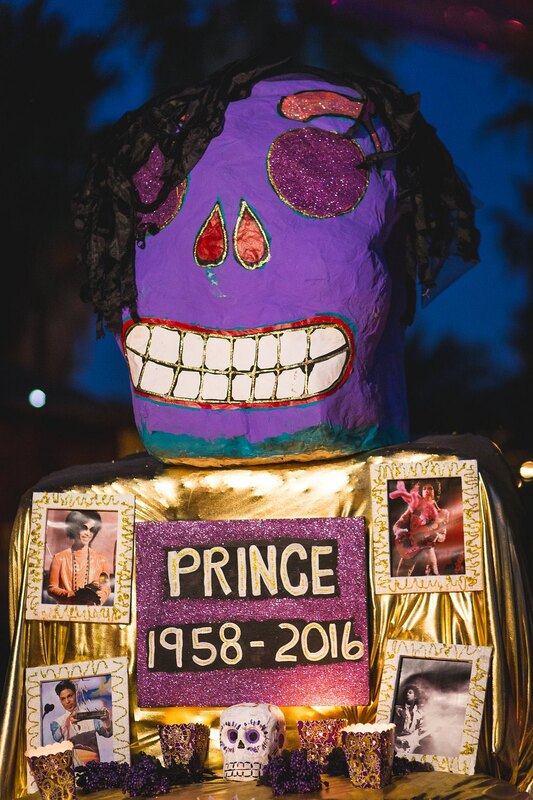 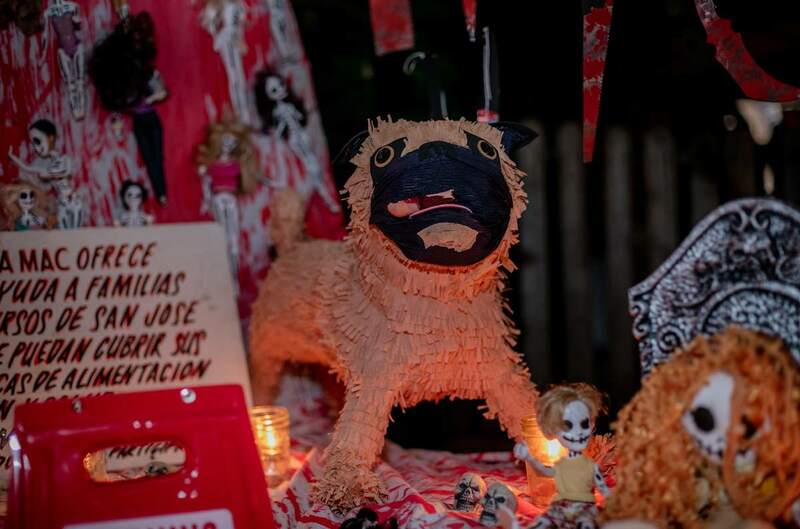 We thought he was a perfect subject for our Dia de los Muertos altar -- not only because he was so prominent in the world of horror but also because he was one of Flora Farm's most favorite -- and nicest -- regular clients.